The best Christmas markets in Ireland: Our festive guide! Get your Jingle Bells on! Here's our round-up of the best Christmas markets in Ireland for 2015. With its Eyre Square setting and bo-ho bonhomie, Galway's Christmas market is arguably our closest in spirit to centuries-old continental counterparts. Returning for its sixth year, the market sees some 50 stalls take over the central square, with a cracking mix of food, crafts and fun - you might find pastries from Brittany, nuns selling icons from Belarus or shawls and toys from Lapland on a given year, for example (see galwaychristmasmarket.ie for full details). Live entertainment is a big part of the festivities here, with choirs and carollers galore. And naturally, a souvenir-sized German beer tent sits at the heart of it all, offering Bavarian brews, salty pretzels and sauerkraut. Bring ye olde Lederhosen! Dublin's big market this year is the 'I Believe' special at Custom House Quarter (or the area known as George's Dock, by the IFSC, to you and I). Running from November 26 to December 23, it's hot on genuine food stalls (think German chips and chocolatey waffles) along with a vintage carousel, pop-up apres ski bar and that all-important 50-foot Christmas tree. See dublintown.ie. Meanwhile, Dublin’s College Green will host a two-day ‘Designer Dublin’ Christmas Market on Friday and Saturday, December 11-12. 30 or more designers and craftspeople will showcase handcrafted gifts in the historic Bank of Ireland forecourt on College Green. Stocking fillers, anyone? 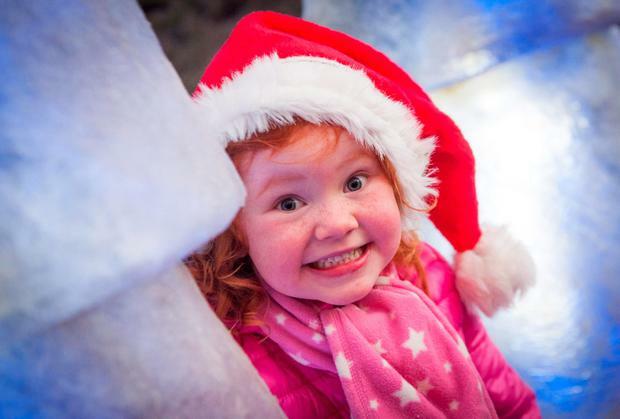 At Malahide’s Christmas Kingdom (christmaskingdom.ie) you can visit Santa, go ice-skating, ride vintage amusements, shop at the craft village and pick up lunch at the Food Village. There's a Christmas train ride from the car park, too. Finally, the Dun Laoghaire Christmas Festival is on the seafront just a short DART ride from Dublin, with an open-air food and crafts market, old-world children’s fairground amusements and fireworks displays. It runs to December 24. Waterford's WinterVal Festival (winterval.ie) includes dozens of market stalls (in three locations), lightshows, penguins at the palace, free screenings of Elf and ticketed events including a Ferris wheel and WinterVal Express train. Oh, and there's a ‘Bad Santa’ theatrical curio at the refurbished Ballybricken Stand. It's the perfect reason to visit Ireland’s oldest city (to December 23). The Killruddery Christmas Markets (killruddery.com) is scheduled from 10am to 4pm on December 6, 7, 13, 14, 20 and 21 this year. The farm market includes artisan producers, award-winning cheese, cakes and breads, fresh fish and meat, Christmas turkeys and hams or Killruddery Lamb to order, hand-crafted jewellery and knitware, tableware and decorations, books and more. Admission and parking is free. 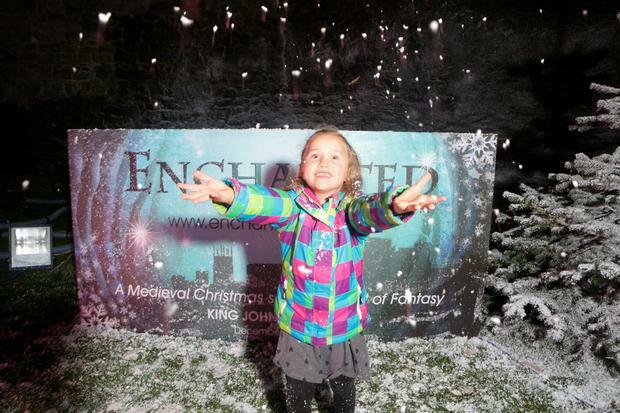 Get your Christmas off to a glowing start at Cork's annual extravaganza. Running on Fridays, Saturdays and Sundays to December 20, highlights of Glow Cork (glowcork.ie) include a free family-friendly Santa's Workshop in Bishop Lucey Park, Ireland's largest Ferris Wheel, and lots of food stalls stationed along Grand Parade (don't forget the English Market, either). There will be a live music stage at Glow for the duration of the festival with carol singers and musicians entertaining in aid of a range of charities, and there are also free Irish music sessions in pubs throughout the city – see theleesessions.com. For a traditional festive market, head to Wexford's Bullring, where a craft market promises a hive of activity with lots of entertainment on offer. Decorated wooden cabins showcase a range of crafts produced by artists from Wexford's craft trail. Meanwhile, at Wexford Arts Centre, the annual Christmas Craft fair will also host a variety of top quality crafters. See wexfordwinterland.com for more. Limerick's Milk Market (milkmarketlimerick.ie) is magnificent visit for two reasons: 1) the quality of the food on offer and 2) the all-weather canopy covering. There's something for everyone here (markets run for a full week from December 17 to 24, too), from stalls packed with artisan foods, crafts, decorations, toys and other titbits, to a lively music programme and lots of local carol singing. Duckett’s Grove (carlowtourism.com) was one of Co. Carlow’s most significant big family homes in the 18th, 19th and 20th centuries. Now a ruin, it still makes for a striking sight thanks to its surviving towers and turrets, and will provide the backdrop to a Christmas market with a difference on December 6. Artisan food offerings, craft-making demonstrations and carol singing are also on the cards. Running to December 20, Belfast's annual Christmas markets (belfastcity.gov.uk) pack a huge punch into the relatively small grounds surrounding City Hall. 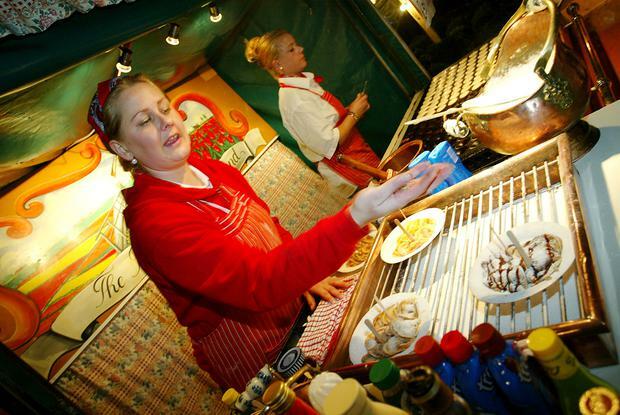 Santa's Grotto, continental food and stalls selling souvenirs, arts, crafts and more await. The emphasis is on the artisan, and if you want more, don't miss the year-round hustle and bustle of St. George's market (there's a Christmas craft festival at Belfast Castle too). Read more: Niamh Horan: Belfast city break "puts Dublin to shame"
Since launching last year, the Strandhill People's Market (strandhillpeoplesmarket.ie) has become a hotbed of creativity in Sligo. Though the summer months there are stalls on the seafront, while in the winter the market moves to an aircraft hangar at Sligo Airport. 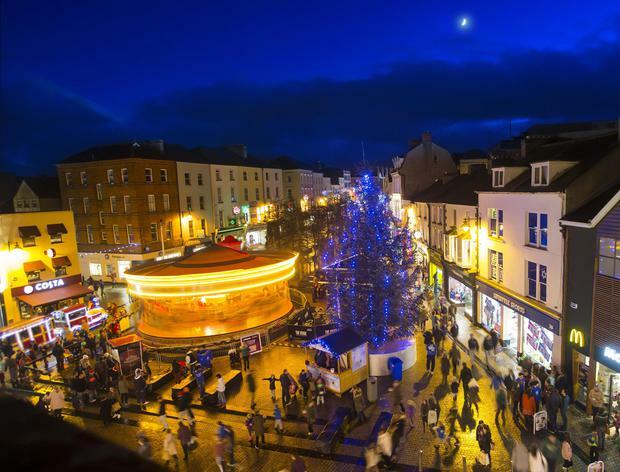 This year, the Christmas market will take place on Friday evenings and Sundays (11am-4pm), featuring the best local produce, crafts and artwork that Sligo has to offer. There'll be live music and carols, too - by Nicola Brady. Ballyvaughan's Christmas Fayre (burren.ie) takes place in St. John's hall on December 12 - a farmers' market perfect for festive season gifts and produce. If you're in the area, head over to Aillwee Cave (ailweecave.ie), where there's a puppet show and a Birds of Prey attraction at which kids can get up close and personal with a magnificent snowy owl. The elves will be making up food hampers too. It costs €15/€33 including Santa's Workshop. Got any more Christmas markets in Ireland to recommend? Email your suggestions to travel@independent.ie, or post on Facebook here!